According to OCHA statistics Yizhar is the most violent settlement in the whole of the West Bank with 70 recorded incidents in 2011 alone. Every week there is at least one attack by Yizhar settlers in the six affected villages. belonging to villagers from Urif. This continued until earlier in the week when Israeli authorities delivered maps to the village which showed that Yizhar had laid claim to 2 dunums of land. This was a massive understatement; they had in-fact seized the entire hill. 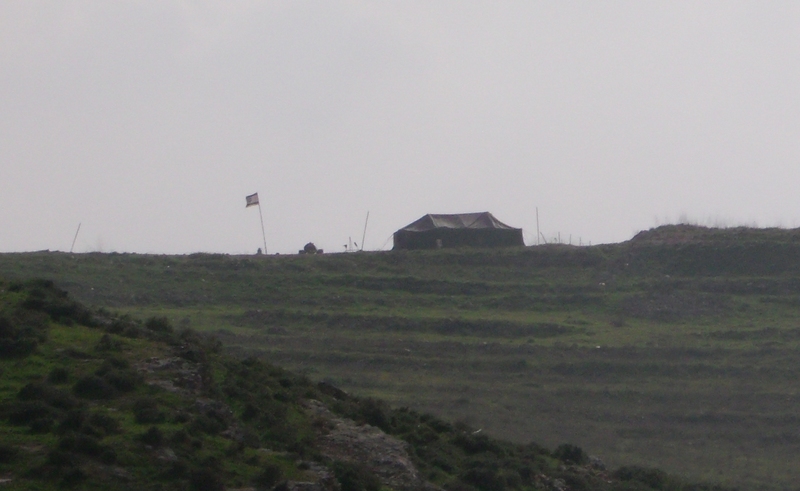 The land grab of this hillside seems to be all but complete; a shepherd who was working the land around the Yizhar outpost was recently beaten whilst tending to his sheep: the injuries he sustained were serious but not critical. 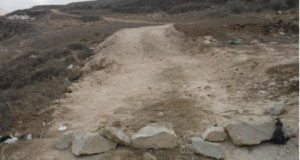 In another incident, as the Palestinian owners of the land were walking along the road towards the hill this week, they were fired on by Israeli soldiers. Villagers want to challenge this latest land grab, however the law in this country is anything but just. The villagers are all too aware that if they resist they have only stones in the face of tear gas, stun grenades and the very real threat of being fired upon with live ammunition. Harassment of the residents has also been on the rise. Currently at least once a week soldiers have been invading Asira in the middle of the night. 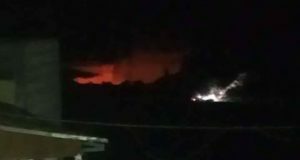 They have been banging on villagers doors with the butts of their assault rifles, making sure people are disturbed in much the same way as has been reported in Urif as well as in Burin. Yizhar a relatively small but very aggressive settlement in the north of the occupied West Bank. 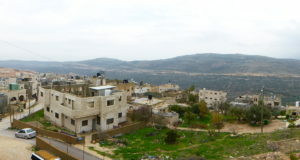 It is situated on a hill surrounded by six Palestinian villages which are all made to live in a state of constant fear.